An older style of pedaling. The symbols can be between or below the staves. This type of pedaling is more commonly used today. There are two standard foot pedals on the piano: on the left side is the una corda pedal and on the right side is the sustain (damper) pedal. The middle sostenuto pedal is only standard on the American grand piano, and is very rarely used. With pedals, the pianist can add resonance and color to the music and thereby bring out its inherent emotion. At the same time, over-pedaling or improper pedaling can drown the listener and the performer in a miasma of overlapping sounds. Anton Rubinstein, renowned pianist of the late nineteenth century, said that the rightmost pedal is the very soul of the instrument. His book, The Art of Piano Pedaling: Two Classic Guides, is still in print. This pedal has various names. It is sometimes called the damper pedal (because it lifts all the dampers inside the piano), or the forte pedal (because the result of lifting all the dampers is a fuller sound), or the tre corde pedal (because it allows the three strings of each key to vibrate), or the sustaining pedal (because when you depress it the note will continue to sound even if you take your fingers off the keys). Here are some guidelines pedaling. As with everything in art, they can be ignored under certain circumstances. Avoid pedaling notes that move in a stepwise or scalar pattern. Adjacent notes are dissonant, and when pedaled, they sound smudged. Do pedal notes that skip and form a nice harmony. Change your pedal (i.e., lift it up and put it down again) at each change of harmony. Avoid pedaling through rests (i.e., silence), at ends of phrases (at which point we would need to breathe and that split second of silence takes care of that), or staccato notes—although this is commonly ignored, because we actually can hear the disconnection through the pedal. This is why we do not depend on the pedal to achieve a beautiful legato. Keep your heel planted firmly on the floor, and pedal with either toes or the ball of foot, depending on your shoe size. There are several manipulations possible with the damper pedal, each affecting the sound slightly differently. For the cleanest sound, the syncopated (or legato) pedal will give you the most control. This is an action where the foot is put down immediately after the note is played. This may take some getting used to, but you can practice it by playing a C scale. Play C, and then lower the damper pedal. Hold the pedal down until you are just about ready to play the D.
As the D’s finger goes down, the foot goes up, and then down again immediately after the D is struck. The sound is clean. Continue up the scale the same way. As an experiment, try putting the pedal down as you play a note, and notice the difference in the sound. Since the damper pedal lifts all the dampers, when you strike the D, not only are the three strings of that note free to vibrate but so do all the other strings vibrate sympathetically. You have a sound that is full of overtones. There are times when you will want that effect and so will keep your foot down until the accumulated sound needs to breathe. 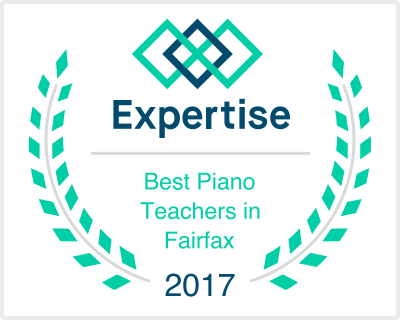 You can practice the syncopated pedal away from the piano by sitting on the bench or a chair and lifting your right knee at exactly the same time as your right hand goes down to tap the rising knee. This is the same action at the keyboard. The foot goes up when the hand goes down and then returns to the pedal. There are half and quarter pedals too, which are used when you don’t want full vibrato. Rather than depressing the pedal all the way down, you lower your foot halfway so that the dampers are lifted only slightly off the strings, without allowing them to vibrate fully. The quarter pedal gives even just a hint of pedal. It will take a while to feel these various distances on your piano. Also, you will find that each piano has its own pedal feel, which you must get used to before attempting to perform on that instrument. Then there are times, usually in scale passages, where touches of pedal can be very appealing and then the foot goes up and down rapidly and shallowly, and that is called the “flutter” pedal. The different types of damper pedaling techniques are for you, the pianist, to decide. But what determines which choice you will make? Two things will control that: your very important ear, and your understanding of the music—the composer and the era in which the music was composed. Your pedaling approach following the composer’s style depends on your knowledge of what instruments were available during the composer’s lifetime and how the pedal or lack of pedals would have made the music sound. This way, your interpretation will have authenticity. The sustain pedal allows all of the notes on the piano to resonate after the keys have been lifted, for as long as the pedal is depressed. It creates a legato effect, forcing all of the notes to echo and overlap. The sustain pedal was originally operated by hand, and an assistant was required to operate it until the knee lever was created. 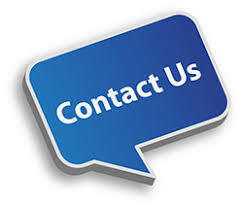 The creators of the sustain foot pedal are unknown, but it is believed to have been invented around the mid-1700s. Use of the sustain was uncommon until the Romantic Period, but is now the most commonly used piano pedal. The sustain pedal lifts the dampers off of the strings, allowing them to vibrate until the pedal is released. In piano notation, use of the sustain pedal begins with Ped., and ends with a large asterisk. Variable pedal marks, seen as __/\_/\__, are placed under notes, and define the precise pattern in which the sustain pedal is depressed and released. Horizontal lines show when the sustain pedal is depressed. Diagonal lines indicate a quick, temporary release of the sustain pedal. The una corda pedal is used to enhance the timbre of softly played notes, and exaggerate a low volume. The soft pedal should be used with notes that are already played softly, and will not produce the desired effect on louder notes. The una corda was the first mechanism to modify the piano’s sound, and was originally operated by hand. 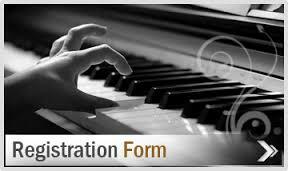 It was invented in 1722 by Bartolomeo Cristofori, and quickly became a standard addition to the piano. Most treble keys are attached to two or three strings. The una corda shifts the strings so that the hammers only strike one or two of them, creating a softened sound. Some bass keys are only attached to one string. In this case, the pedal creates a shift so that the hammer strikes on a lesser-used portion of the string. In piano notation, use of the soft pedal begins with the words una corda (meaning “one string”), and is released by the words tre corde (meaning “three strings”). Usually the middle pedal, but is often omitted. The sostenuto pedal allows certain notes to be sustained while other notes on the keyboard are unaffected. It is used by hitting the desired notes, then depressing the pedal. The selected notes will resonate until the pedal is released. This way, sustained notes can be heard alongside notes played with a staccato effect. The sostenuto pedal was the last addition to the modern piano. Boisselot & Sons first showcased it in 1844, but the pedal didn’t gain popularity until Steinway patented it in 1874. Today, it’s primarily found on American grand pianos, but is not considered a standard addition since it is very rarely used. When the sostenuto pedal is depressed, it keeps the dampers off the selected strings, allowing them to resonate while the rest of the keys’ dampers remain down. In piano music, use of the sostenuto pedal begins with Sost. Ped., and ends with a large asterisk. Notes meant to be sustained are sometimes marked by hollow, diamond-shaped notes, but there are no strict rules for this pedal since it is hardly ever used. 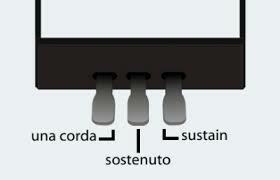 Sostenuto is Italian for “sustaining,” although this incorrectly describes the pedal’s function. On some pianos, the sostenuto pedal only affects the bass notes. The middle pedal is sometimes built as a “practice rail” pedal instead of a sostenuto. A practice rail muffles notes with felt dampers, allowing for quiet play. Sostenuto pedal markings are rarely seen in sheet music, but can be found in the works of Claude Debussy. An older style of pedalling. The symbols can be between or below the staves. This type of pedalling is more commonly used today. 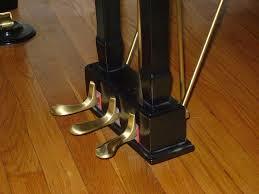 Piano pedals have existed for almost as long as the modern piano itself, but they had a rocky start. While the modern piano accepted most of its final touches, the evolution of the piano pedal continued. In 1722, the piano’s first tone-modifying mechanism came in the form of a hand stop, and was created by Father Piano himself: Bartolomeo Cristifori. The device positioned the hammers to strike only one piano string per key, which created a soft, relaxed timbre. But it was far from ideal; a spare hand was required to use it, meaning the pianist either repeatedly removed one hand from the keys, or practiced alongside a hand-stop operator. Thankfully, the mechanism was later modified to be operated by the knee, and became the predecessor to today’s una corda, or “soft,” pedal. The next modification arrived soon after. Gottfried Silbermann — renowned European constructor of keyboard instruments — created a mechanism that lifted the dampers off of the strings, causing a reverb effect. This early sustain pedal had an advantage over most modern sustains: treble and bass notes could be controlled separately from one another; however, like the una corda, the sustain did not start off as a foot pedal; an impracticality which may have justified its early unpopularity. Today, the sustain is the most frequently used, and possibly the most favored, piano pedal. Which brings us to the underdog: the sostenuto pedal. Created in the mid 1800s by Boisselot & Sons, it is by far the most misunderstood piano pedal. The sostenuto is constantly being replaced — or removed entirely — from its position as the middle pedal, and is only standard on an American grand. It allows certain notes to be “sustained” while other notes are left unaffected, and even piano leader Steinway saw potential in the pedal, opting to patent the idea three years after its début in 1844. But, surprisingly, the impressive effects of the sostenuto never caught on. Alternative middle pedals have included practice rails, which muffle the notes for quiet practice; and the faux-sostenuto, which allows only the bass notes to resonate. Most modern pianos now have only two pedals, leaving the sostenuto –- one of the most unique and inspiring pedals –- to fade into antiquity. via Piano Pedals – History of Piano Pedals.